What's The Rally Squirrel Club? What's the New Rally Squirrel Club Look Like? A private club for Serious Cardinals Fans that want to dive deep into Cardinals fandom with other Cardinals Nation fanatics. Seriously Awesome Prize Giveaways like autographed baseball bats, photos, jerseys, apparel, game tickets, fan packs and more. Fun exclusive access to Club Only activities, experiences and insider information. EXCLUSIVE ACCESS to the Rally Squirrel Club Facebook Group with REAL Cardinals Fans that are serious about Cardinals Baseball. ALL ACCESS PASS to our Podcast Vault with player interviews, stories and more. This year our members have won an autographed Yadier Molina Jersey, Autographed Piscotty Bat, Autographed Player Photos, Hoodies, T-Shirts, Autographed baseballs, Live Podcast Call Ins with Bengie and More! 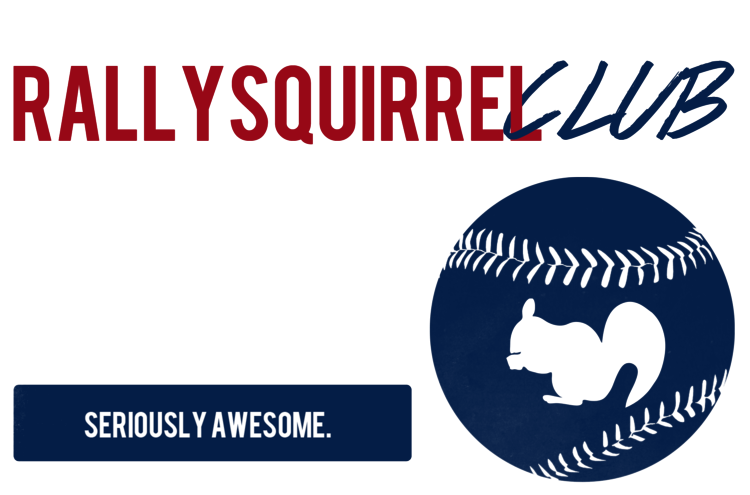 At rallysquirrel.com we are always trying to provide the best fan experience for the best fans in baseball. 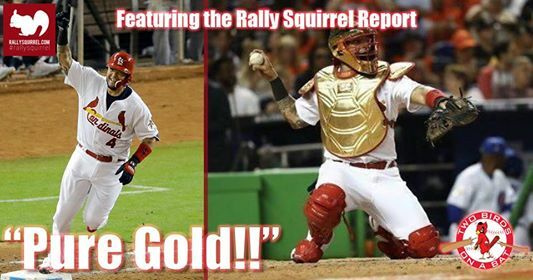 We are launching our brand new Rally Squirrel Report Premium Podcast + Prizes. We have convinced Bengie Molina (yes, that is Yadier Molina's World Champion and Gold Glover big brother) along with our friends at Two Birds on A Bat to host a premium podcast for the Rally Squirrel Fans each week. We are going to have an exclusive podcast just for our fans along with incredible prize giveaways each week! The podcasts release every Monday afternoon (excluding Holiday weeks). What's a podcast? Think...gathering with your best friends to have conversations about Cardinals baseball with an All-Star hosting cast. It's like Sports Talk Radio dialed in to the best interviews, conversations, stories, insider information and fun for an ultimate Cardinals fan experience. Yadier Molina's brother, Bengie Molina, is co-hosting the show so we have the inside track on all things St Louis Cardinals. The best part is that everyone can participate because we've made it affordable for all fans. It's only $4.99/month or $50 for the entire year and you'll receive a weekly show plus you're automatically entered to win AWESOME PRIZES EVERY WEEK during our prize segment like autographed memorabilia, collectibles, t-shirts, prize packs, game tickets home or away, and more.